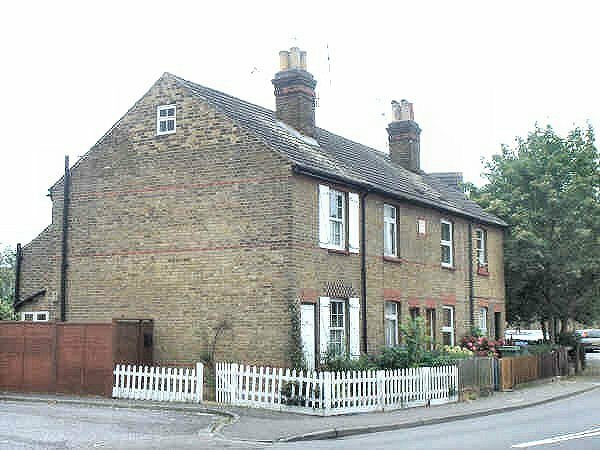 Today West Molesey is part of the London area conurbation. But at one time this was a quiet town which specialised in market gardening. A significant area of land beside the River Thames was once the Hurst Park Racecourse. During the Second World War the racecourse became an explosives store for the US Air Force, and some of the humps remaining on the site today cover their air raid shelters. 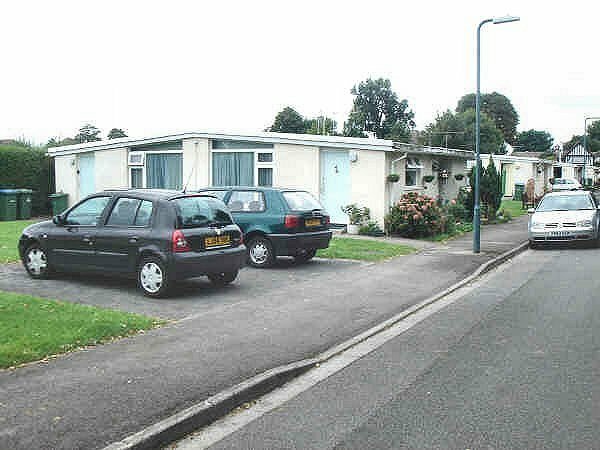 Later most of the site was developed as housing. 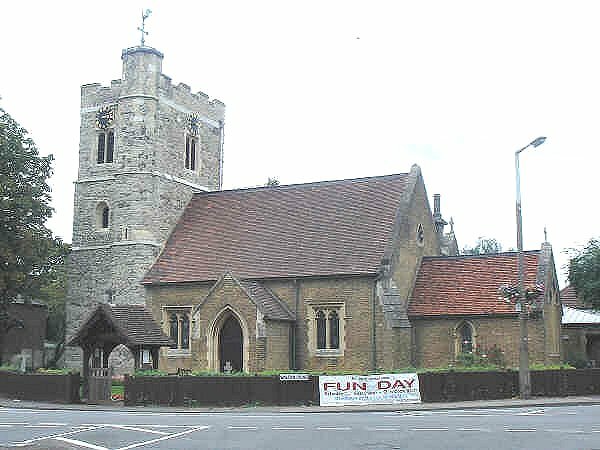 Parts of West Molesey church show signs of having been built or rebuilt in a variety of eras. The oldest part would appear to be the base of the tower, judging by the materials used and it's present condition. 27th July 2007. 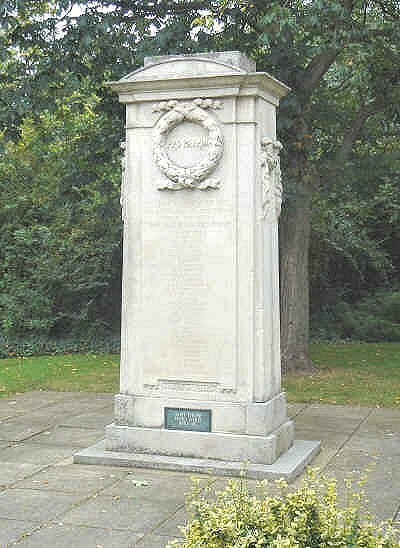 West Molesey war memorial in the Garden of Remembrance, near the church. 27th July 2007. 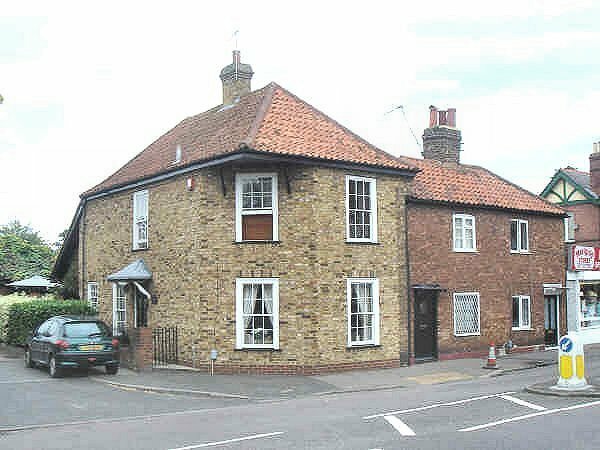 The buildings in the West Molesey area are primarily housing. These two examples on the High Street are somewhat unusual. The right-hand building is of significant age. 27th July 2007. Buildings on Walton Road. 27th July 2007. 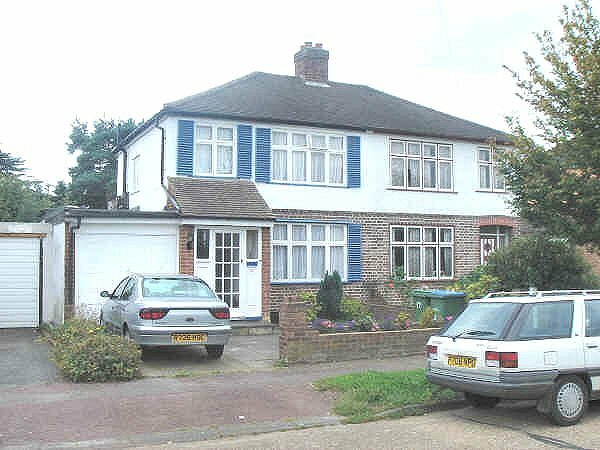 West Molesey saw the building of semi-detached houses in the 1930s. 27th July 2007. This street appears to be comprised of pre-fabricated buildings. 27th July 2007. 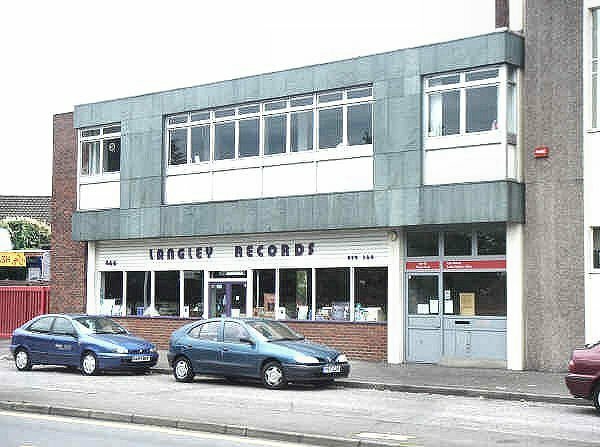 This music shop is on Walton Road. 27th July 2007. 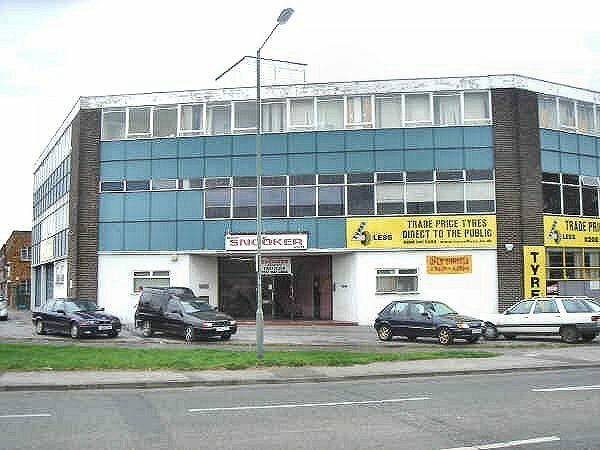 The snooker club is located in this building on Walton Road. 27th July 2007..